Felice Anno Nuovo – Happy New Year. I like the fresh start we get every January. To me, beginning with a clean slate is invigorating. I’m looking forward to what the New Year will bring, mostly for the new and exciting foods that I will eat this year. But I am a foodie and that is just the way I think. In order to start the year off right and keep the malocchio away (bad luck/ evil eye), the proper food must be eaten on the first day of the New Year. This is why I always start out every New Year the very same way- eating lentils. I grew up with this tradition and it is something that I carry on with my own family. Eating lentils on New Year’s Day is a must, even if you eat just one little lentil. Of course, you could accuse me of being superstitious and my husband would not disagree with you on that point. He has, over time, come to accept my eccentric Italian ways, but that is part of the charm of being an Italian woman. If you do not eat lentils on the first day of January, does it mean that bad luck will come? No, not at all; well, at least I don’t think so. This is just a tradition in my family. But I do recommend eating these delicious legumes. If you have never tried them before, branch out and give your taste buds a thrill. 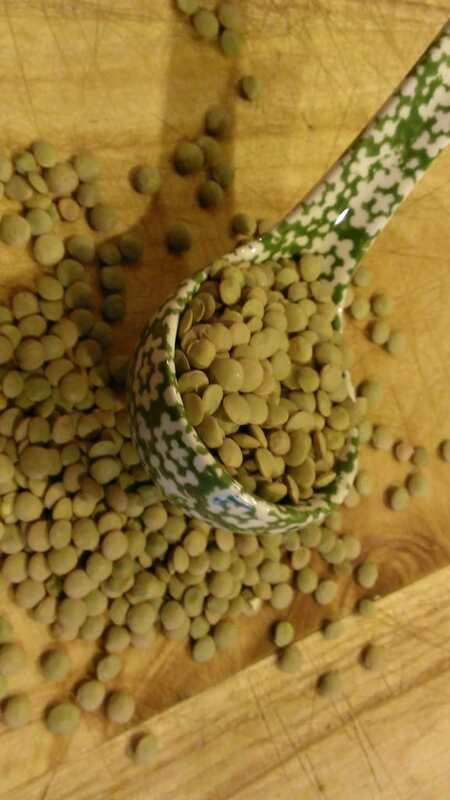 Lentils are delicious little round beans that a packed full of protein. Regular eaters of lentils will tell you that they have a benign taste, and can be adapted into so many different variations of soups or salads. I like the fact that they work well with so many different types of ingredients. It really depends on your taste and adventurous palate. Today I am sharing my recipe for Rustic Italian Lentil Salad. It is a typical Italian Peasant salad because it is a forgiving recipe yet simple to make. Don’t let the simplicity fool you because the taste is pure deliciousness. Adjust the seasonings and ingredients to your tastes, play around with it and have fun. If you have some good crusty Italian Bread, serve it with the lentil salad and it will be a perfect peasant meal. For more information and recipes on lentils, click here. Additional ingredients: you can add some of the following vegetables-shredded carrots, chopped tomatoes, celery, and red pepper (the amounts are up to you). Cook lentils according to directions, drain and cool the set aside. In a bowl mix the oil, vinegar, salt and pepper until blended. In a separate bowl place lentils, shallots, parsley and vegetables. Mix gently and toss with the oil and vinegar mixture. Adjust the seasonings to your taste and serve. 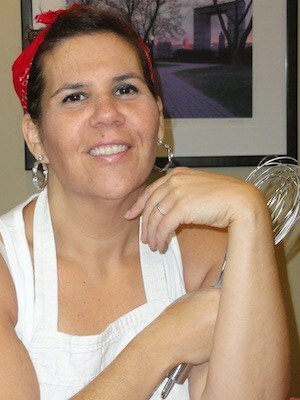 For more information about and great recipes check out http://www.nickydcooks.com.